Successful nurses are emotionally stable, sharp-witted, patient, empathetic, and hard-working. Their organizational skills, communication skills, judgment, leadership, and physical endurance are above board. This long list of traits clearly demonstrates that the profession is not for everyone. If you’ve faced the long hours, emotional tumults, and stress as a CNA and still welcome the joys of caring for others, then it’s time to pursue a career in nursing. With an aging population in need of constant care, few professions are important as nurses are to modern health care. Yes, there will be challenges, but not more than you’re facing now as a CNA. Below are just a few reasons to take an active role in one of the most stable and gratifying careers in the global marketplace. “Living to improve the lives of others.” This is the mantra of those working in the field of nursing. Nurses are noble and altruistic in the way they care for patients – beyond the call of duty- when they’re most vulnerable. They watch patients fight to stay alive every day and do all they can to help them stay positive and comfortable. As they confront the harsh reality of death more than most people, they understand well the value of life and integrate those lessons into their practice. With positive words, a warm smile, a gentle touch, and cheers of encouragement, nurses are literally the difference between life and death for the patients they serve. If you have a genuine interest in improving patients’ well-being and comfort, a nursing education program is the obvious next step in your career. Gallup’s yearly poll that tracks Honesty and Ethics in Professions ranks nurses at the top for the 15th year. Apparently, Americans hold nurses in the highest regard as 80 percent of the respondents saw nursing as a positive profession. For more than a decade, nurse beat out other professions, including teachers, doctors, pharmacists, and clergy. As a nurse, you’ll become a well-respected and valued member of society. Everybody loves nurses because the public likes people who help people. 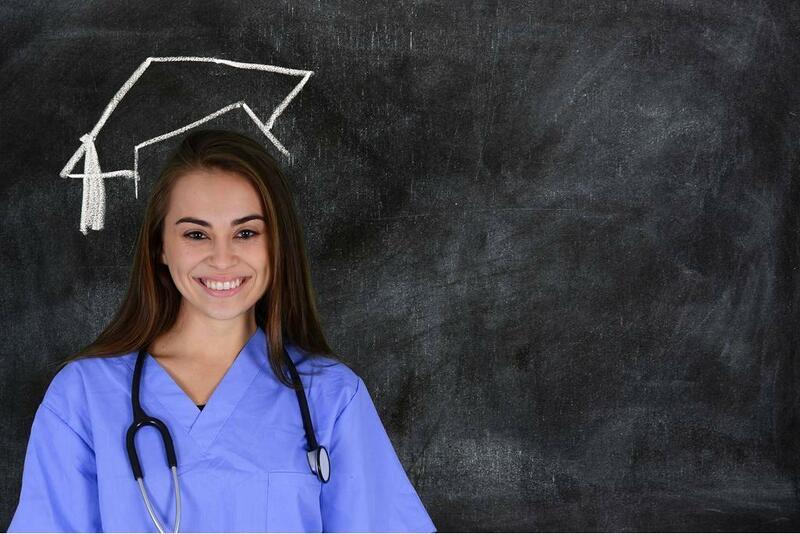 The high graduate prospect score for nurses is encouraging for students who need to find a job shortly after graduation. BSN graduates have the highest possibility of employment with 59 percent securing employment within 6 months of leaving college. Nurse graduates have a higher chance of employment than non-nursing graduates, according to a comparison study, which showed that only 23.9 percent of those with non-nursing degrees obtained a job within 6 months of graduation. The nursing shortage plays a significant role in the scheme of things. But the crippling shortage of qualified nurses does not mean immediate employment for every newly minted nurse. The BLS predicts jobs aplenty for nurses due to the one million estimated new jobs over the next decade. However, not every state will be impacted by the shortage, so check the statistics in your state and locality before you enroll in a nursing program. Keep in mind that hospitals and clinics are extremely, and understandably, discriminating when they hire. With a wider applicant pool to choose from, they will hire those with the best grades, communication skills, recommendations, and values. Nurses are in demand, but they don’t hold all the cards. Non-negotiable demands and inflexibility will limit your options. Nursing is your gateway to a diverse range of job opportunities. With specialization in midwifery, pediatrics, education, palliative care, and many others, you can tailor your education to match your interest, and changing from one field to another is fairly simple. Experts suggest that new nurses should work in a medical-surgical environment for a year or more to hone their skills before moving into specialized roles. With ongoing education, the opportunities and career titles are endless, including Nurse Practitioner, Nurse Anesthetist, and Nurse Educator. The work environments are as varied as the job titles, as not all nurses work in hospitals. Approximately 60 of BSN-prepared nurses work in a hospital setting, the others practice in health clinics, doctors’ offices, home health, long-term care, schools, correctional facilities, insurance companies, pharmaceutical companies, movie sets, and the armed forces. Few professions are as diverse as nursing, so if you ever get tired of your current role, you can change your specialty to work in another fast-paced and exciting area of patient care. To meet staffing demands, employers are offering nurses flexible schedules and negotiating power. Today’s nurses can choose their shifts according to their family commitments, which is key to maintaining work-life balance. More than flexible shifts, employers are getting creative and offering time off for study and family commitments. It’s true that nurses work long 12-hour shifts and on the weekends, but having the option to choose the shift that works best, helps to ease the drudgery of the long shifts. But flexibility doesn’t only benefit nurses; employers have discovered that flexible schedules increase retention rate and help with recruitment. According to the U.S Bureau of Labor Statistics, the average annual income of a registered nurse is $63,800, which is a decent income for most households. In reality, a nurse’s income depends on the place of employment, state, and location – nurses in metropolitan districts earn more than those in rural areas. With continued education, specialization, and experience, a nurse’s income can leap to $99,450 as in the care of nurse practitioners. Outpatient care centers and specialty hospitals are among the highest paying employers in the industry, but they rarely hire inexperienced nurses. BSN-prepared nurses initially earn salaries similar to ADN-educated nurses, but increased responsibilities and practice options, place them ahead of nurses with an associate’s degree in a matter of months. In terms of the best paying states, nurses in California, followed by Massachusetts, Hawaii, Alaska, and Nevada earn the highest compensation and benefits packages, taking home close to 25 percent more than nurses in other states. Overtime and shift differentials give nurses everywhere the opportunity to increase their earning potential. Benefits packages covering vision care, dental, prescription, disability, liability insurance, and retirement are just some measures employers use to up the ante to attract the retain the best talent. For nurses, the learning doesn’t stop after graduation. Of course, the expensive university education will provide a firm academic foundation that’s invaluable in the workplace, but technology, complex health care needs, new drugs and delivery methods make it critical for nurses to continue learning to remain current and relevant. From new patient care techniques to rehabilitative treatments and revolutionary scrubs and protective care, expert nurses are perpetual learners. And while continued learning can lead to increased responsibilities, advancement opportunities, and better salaries, it is the end user that drives the modern knowledge-seeking nurse. Patients are demanding more from the nurses who provide their care. In response, nurses go beyond the call of duty to have thoughtful and educational discussions with patients to keep them in the loop. 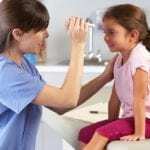 The need for informed nurses who can educate patients is one reason why many employers are sending their nurses back to school and compensating them well when they do. Nursing is a career with varied rewards and numerous opportunities for personal and professional development. As a CNA, you’re actively involved in bedside care and may form special bonds with patients if time allows. Nursing takes care to another level as you educate, advocate, and help your patients improve their quality of life. If you have the skills, determination, and passion for making the transition, then you should go for it. While the idea of earning a degree may be daunting, it will be worth it in the end.